An old Inuit proverb says: "only when the ice breaks, you will truly know who is your friend and who is your enemy." On 26 June, Azerbaijani and Turkish Government signed the final agreement to establish consortium in order to implement Trans-Anatolian Gas Pipeline (TANAP). This was one of the great steps in the energy history of Azerbaijan and Turkey, as well as Europe. Because, Azerbaijan and Turkey did, which Europe could not do so far. Construction of TANAP will be completed in a six years. 80% share of TANAP belongs to SOCAR, remaining 20% to BOTAŞ and TPAO. However, any company in Shah-Deniz Consortium would join to TANAP and own its relevant shares. In this context, participation of BP and Statoil in TANAP consortium is more realistic. According to Vusal Gasimli (SAM Expert), “it would be interesting to analyze the participation of Russian company LUKoil in TANAP Consortium, because company owns 10% in Shah-Deniz Consortium”. In the first step 16 bcm, second step 23 bcm, third step 31 bcm gas will be pumped via TANAP. Except Shah-Deniz, Azerbaijan have additional gas fields (Umid-Zafar-Mashal, Absheron-Nakhchivan, Azeri-Chirag-Guneshli) in order to meet gas need for its pipelines. According to Vusal Gasimov (SAM Expert), “TANAP will contribute to the energy security of South and East Europe”. After the two days of signing of TANAP agreement, Shah-Deniz Consortium declared Nabucco-West as one of the potential gas transportation system from Caspian Sea to Central Europe. In February, it also selected TAP as the first potential route. Consortium rejected the ITGI (Interconnector-Turkey-Greece-Italy) option, whose backers included Greek gas company DEPA and Italy’s Edison. However, consortium works with both Nabucco West and TAP before making a final decision. Consortium will make final selection between Nabucco-West and TAP by mid of 2013. Consequently, not TANAP, but TAP remains as a main competitor of Nabucco-West. 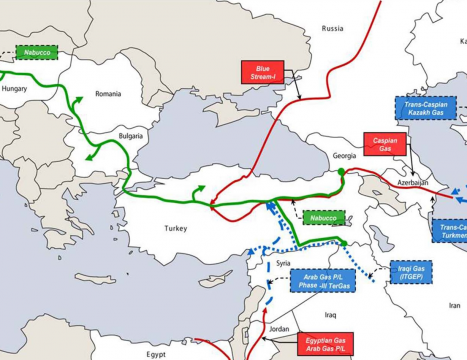 Hence, in case of realization of TAP, Caspian gas should be diverted from Central Europe toward Italy. According to EU Energy Commissioner Guenther Oettinger, “It is clear that Vienna (Baumgarten) is the European hub in the gas business. For this reason, we want the gas to come to Austria from the Caspian region through Bulgaria, Romania and Hungary” (The Jamestown Foundation, June 29). Signing of TANAP agreement may stimulate European Union to push forward and work more actively on Trans-Caspian Pipeline. TANAP makes SOCAR as greatest investor company and Azerbaijan as greatest investor country, while also increases transit role of Georgia and Turkey. TANAP signals EU to support Southern Gas Corridor actively ever it did so far. Because, EU considers TANAP as an integral part of the Southern Gas Corridor. EU did not have any chance, except to support TANAP. Because, TANAP reduced Nabucco pipeline and turned it to Nabucco-West, as well as reduced its construction cost. Original Nabucco was to have to built from Turkey’s eastern border (Turkey-Georgia) to Austria. In this regard, Trans-Caspian Pipeline, Baku-Tiflis-Erzurum, TANAP and Nabucco-West constitute the indissoluble part of “Southern Gas Corridor Chain”. TANAP initiative did not kill Nabucco initiative at all, it just rescued Nabucco from getting collapsed. In 26 December 2011, when Azerbaijan and Turkey signed inter-governmental Memorandum of Understanding and EU suggested “Nabucco-West” concept in response. 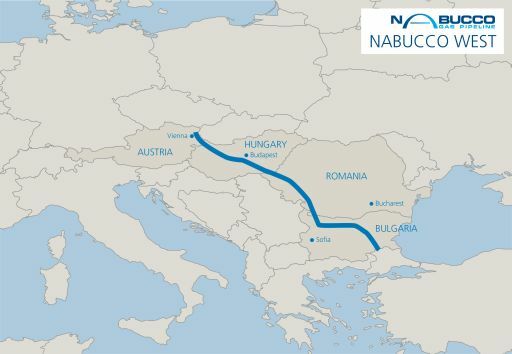 Nabucco-West pipeline would run from the Turkish-Bulgarian border through Bulgaria, Romania and Hungary to Baumgarten, Austria. TANAP will contribute to strengthen relationship between Azerbaijan and Turkey, both economically and politically. According to Zaur Shiriyev (SAM Expert), “the agreement promises to breathe new life into bilateral relations and, in this sense, Azerbaijan has hailed TANAP as a signpost “towards a new age of partnership”. In a nutshell, TANAP agreement proved that, without Azerbaijan and its agreement, no project should be realized in the region, between Europe and Asia. However, reaction to TANAP initiative is not unambiguous. Because, Turkey’s key gas suppliers, Russia and Iran were not so happy because of this new step. In response, Russia warned Turkey, that “until completion of TANAP up to 2018, you will be dependent from Russian not Azerbaijan”. Besides Azerbaijani gas, Turkey also imports Russian and Iranian gas. In his turn, Iran also raised gas prices for Turkey. But, the difference of TANAP from Trans-Caspian pipeline, is pipeline does not pass through any disputed territory on which Russia and Iran could raise an allegation suchlike in Legal Status of Caspian Sea. Although, Iran’s intentions to dispatch submarines to the Caspian Sea and using Karabakh card as a political tool by Russia toward Azerbaijan, TANAP showed that, Azerbaijan can make a free decision while determining its foreign energy policy without any interference and this will also strengthen the position of Azerbaijan in the provision of energy security of Europe. Faster realization of TANAP, firstly depends on being so closer of two states and having common and reliable energy policy in contradistinction to EU countries. TANAP also proved that the expression of “One Nation, Two State” is not only in words, but as well as in practice. In this regard, one can entitle Trans-Anatolian Gas Pipeline agreement as “Deal of Century-2”.Looking forward to analyze what will be final reaction of Russia which deems the TANAP and Nabucco-West as rival pipeline to his potential projects, such as South Stream.